Dreamy underbust corset by Burleska UK. Noble thick cream taffeta with white lace and crochet border. Covered hip with pleated taffeta finishing. 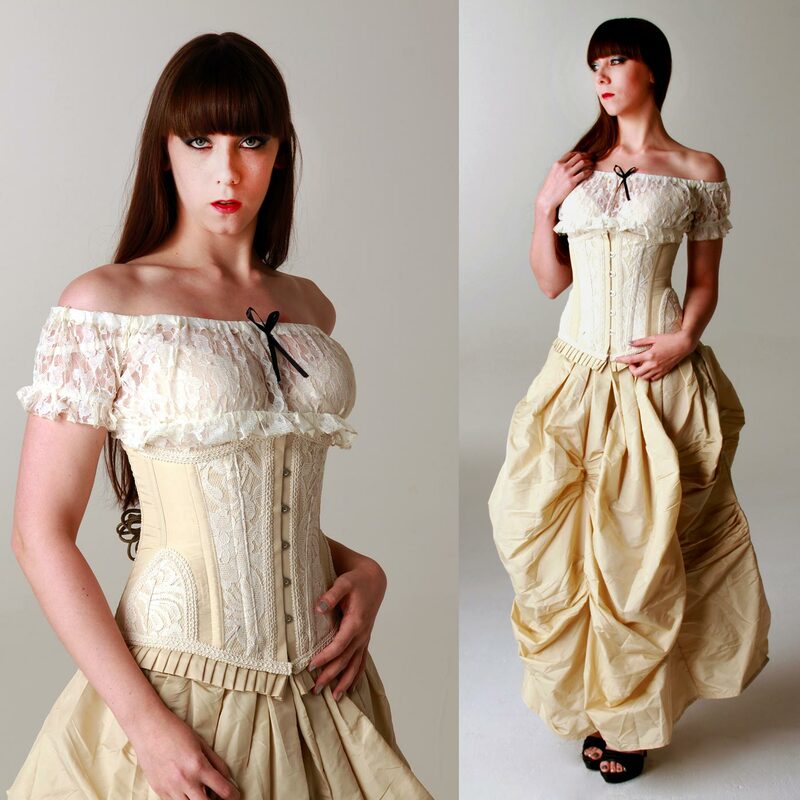 Dreamy underbust corset by Burleska UK. Noble thick cream taffeta with white lace and crochet border. Covered hip with pleated finishing. Very solid manufacturing with 6 steelbones each in front and back plus side bands in the waist. Metal front planchette and strong 26-whole corset lace up in the back - this is how a perfect corset should be. Inside smooth cotton lining with modesty panel in the back. Incl. corset lace up manual.